The Wednesday Call (TWC) for November 19, 2014: Andy Albright hosts a live conference call and meeting from National Agents Alliance Headquarters in Burlington, NC! Andy's live show covers all kinds of great topics, including training, information on team building, new developments that are in the works, and frank discussions with your fellow agents (beginner and top level managers alike!). If that wasn't enough, the live show also provides motivation and encouragement that will help get you fired up and ready to roll! Be sure to tune in and take advantage of the great info in The Wednesday Call. The Live Show will air again on November 26, 2014 at 12:30 p.m. EDT. November 14, 2014: You've heard the old saying "There's always room to improve" and it's true! On this week's NAActivity Call, Barry Clarkson will continue his series on how to evaluate and improve your business! The next NAActivity call will be November 21, 2014! Keep an eye on your National Agents Alliance email blasts for more information, and remember to email your NAActivity reports to NAActivity@NAALeads.com by 4 p.m. each Thursday! The Wednesday Call Live (TWC) for November 12, 2014: Andy Albright is coming at you live from National Agents Alliance Headquarters in Burlington, NC! Training, team building, and surprise visits from top agency managers are all common themes for Andy's live show. Tune in to get all of today's great info! The Live Show will air again on November 19, 2014 at 12:30 PM ET. The Wednesday Call (TWC) for November 12, 2014: Andy Albright hosts a live conference call and meeting from National Agents Alliance Headquarters in Burlington, NC! Andy's live show covers all kinds of great topics, including training, information on team building, new developments that are in the works, and frank discussions with your fellow agents (beginner and top level managers alike!). If that wasn't enough, the live show also provides motivation and encouragement that will help get you fired up and ready to roll! Be sure to tune in and take advantage of the great info in The Wednesday Call. 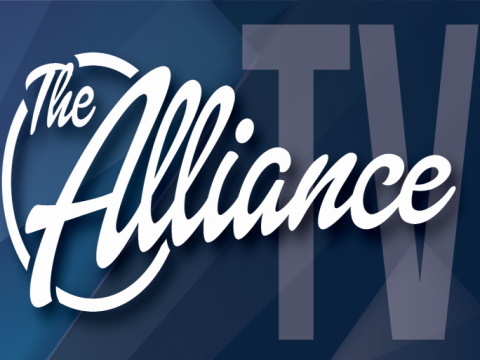 The Alliance delivered another episode of The Wednesday Call live from AMP Studios with your host Andy Albright on Nov. 12, 2014. Andy opened the show by reminding viewers that an extra day has been added to the Greek Isles trip in 2015. With two months left in the contest, Andy asked people to make that last push to qualify before it is too late. Full contest details can be found by visiting the contest page at www.AllianceEventures.com. Andy also announced that new agents with The Alliance will have the chance to earn bonus points toward the trip to Banff, Canada in 2016. One thing that separates successful people from those who give up is just continuing to try and not letting failure get in the way. Andy calls this the ultimate optimism about where you are. Optimists mess up, fail, misjudge things but they keep going after it. It starts with a clear choice and attitude. It really is a choice. Andy announced that we are going to make a concerted effort to eliminate all negativity in our HotSpots meetings. We are going to recognize and celebrate all the good and focus on that instead of the outside noise that brings people down. Andy recognized several HotSpots that are growing consistently and encouraged others to follow their lead. Several special guests from Florida and Kentucky were in the studio and shared some of their background with the audience. Andy recognized several agents from all over the country who have hit personal bests in 2014. Andy introduced eight new people who were attending their first TWC in person. Each person discussed how they found The Alliance and explained who they were hired by and where they live. It boils down to talking to people and telling them about the opportunity to make more money. The main topic of the show was what to do next when you hire sharp, young people. You can't be indecisive when you are working with people. Make up your mind and keep moving forward. It's about taking bricks and building something up. When people ask you questions, listen first. Ask clarifying questions to make things clearer. Seek to understand, think about it and give a positive response. Andy fielded questions from new people in the audience to help people understand the types of obstacles new people might face. The Live Show will air again on November 19, 2014 at 12:30 p.m. EDT.